English includes more words than most languages, but where did all those words come from? 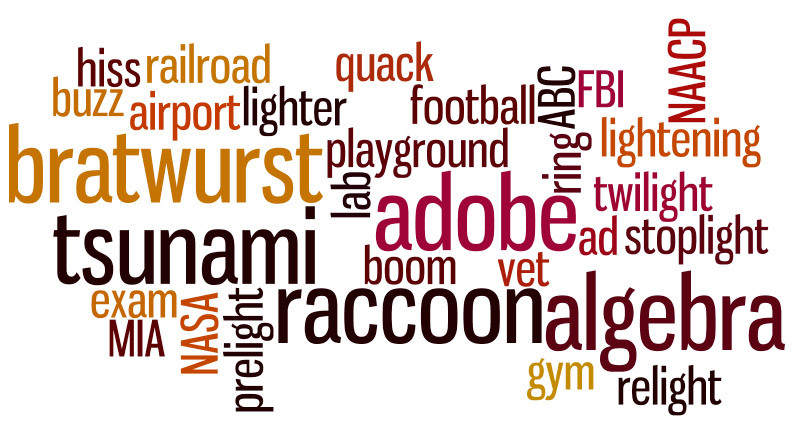 Many came from other languages, such as adobe (Spanish), bratwurst (German), algebra (Arabic), raccoon (Algonquin), and tsunami (Japanese). But other English words have different origins, or starting points. Do the following activity with a classmate to discover where other English words come from. Your Turn Discuss each group of words with a partner, thinking about what the words have in common. Then guess how each group came into the English language. Discovering Word Origins (Etymology) by Thoughtful Learning is licensed under a Creative Commons Attribution-NonCommercial-ShareAlike 4.0 International License. Based on a work at k12.thoughtfullearning.com/minilesson/discovering-word-origins-etymology.